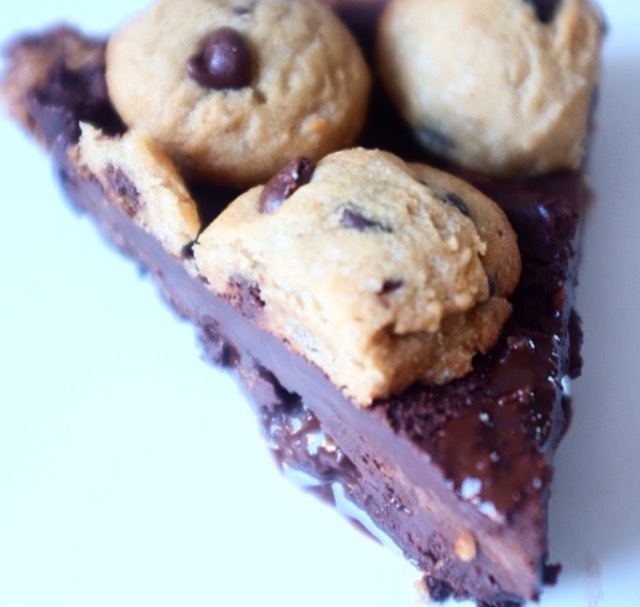 Note* I used Gluten Free Chocolate Chip cookie dough but you can use any flavor. 1. Bake cookies as directed in 350F oven. Set aside. 2. Coat a 9" pie dish with cookie dough and bake at 350F for 20-30 minutes or until it looks fully baked. It should be golden brown without a gooey looking center. Remove from oven, set aside and let cool. 3. In a double broiler melt chocolate with the earth balance, almond milk, and vanilla extract. 4. 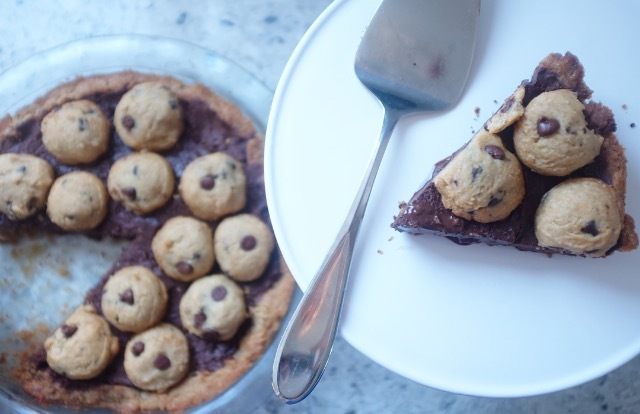 Fill the pie shell with the chocolate mixture and top with cookies pressing them into the chocolate slightly.